(TibetanReview.net, Dec07, 2016) – The Dalai Lama on Dec 6 met with another large group of pilgrims who had come from Chinese ruled Tibet at the Tsuglakhang in Dharamshala, India. The exiled spiritual leader of Tibet told the around 800 pilgrims from Tibet that China’s repression had only made the Tibetan people stronger in spirit and more united. He told the gathering in the early morning meet that despite suffering under Chinese rule for over three generations, Tibetans, especially those in Tibet, had not lost their spirit and hope. All the atrocities by the Chinese had only made the Tibetan people much stronger and more united. He expressed sadness over the suffering endured by the Tibetan people since 1956, especially during China’s brutal repression of the uprising in 1959 and the Cultural Revolution over 1966-76. Earlier, on Nov 30, the Dalai Lama met with about 1,000 pilgrims who had come from Chinese ruled Tibet at the same venue. 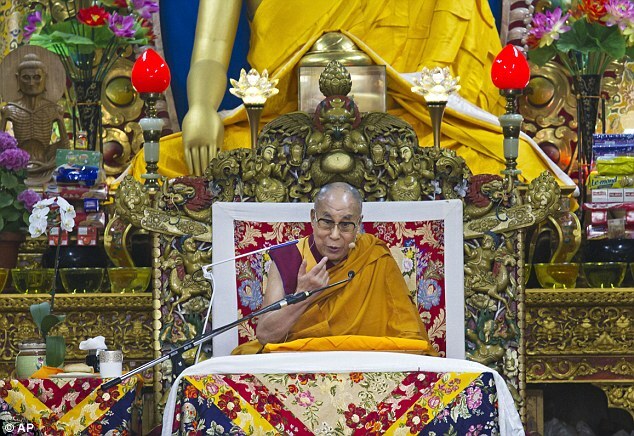 Although the Tibetans had come mainly to attend the Kalachakra (Wheel of Time) empowerment to be given by the Dalai Lama over Jan 3-14, 2017 at Bodh Gaya, China has ordered their families to get them back home at once or face punishment. Those who were yet to leave for India had their passports taken back by the authorities.